1.1 This Service, Product, and Subscription agreement (“Terms”) govern your (“Customer”) access to and for and use of the coaching (“Service”), workshops (“Product”), and membership site (“Subscription”) made available by Tarot By Emilie, having its registered office in Pennsylvania (“Company”). 1.2 The Terms are accepted by the Customer upon registration or ordering of the Service, Products, or renewal of any Subscription. Emilie Muniz IS NOT A LICENSED THERAPIST. If you have mental health issues, please seek the proper help from health care professionals. 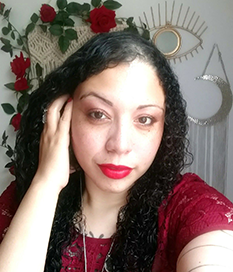 Emilie Muniz’s readings are for entertainment purposes only and not a substitute for professional mental health services, nor should a Emilie Muniz’s readings ever take the place of a doctor, lawyer, or any other licensed professional. Tarot By Emilie is not a fortune telling service. You must be eighteen years of age or older to purchase a reading with Tarot By Emilie . Tarot By Emilie may refuse service for any reason. Questions on gambling, criminal activity, specific dates of death or birth, or on another person’s activities will not be addressed in any Tarot By Emilie reading. Nothing said in an Tarot By Emilie reading should be construed as advice. Tarot By Emilie is not liable for any losses incurred by taking anything said in an Tarot By Emilie reading as advice. The Company will use best efforts to inform the Customer of any known defects which may interfere with the stability of operation or the function of the Product and to remedy and solve such defects. Customers will be notified 24 hours in advance, if possible, of future maintenance that might prohibit them from accessing services, products, or subscriptions. The Company will perform a back-up of the Customer’s data once daily Back-ups are saved for indefinitely Or until the customer requests the data no longer be stored. However, customer must understand that by deleting data, service, products and subscriptions may no longer be available. Refunds will not be given for voluntary termination of customer’s account. The Product is accessible to the Customer at https://www.TarotByEmilie.Com , https://www.TarotPsychicReader.Com , https://www.EmilieMoe.Com by the Company in its sole discretion. Contacted immediately by our lawyers with a DMCA take-down notice. If customer fails to comply, our lawyers will then contact the host of the pirated material. If the host fails to comply, we will take legal action which could result in financial loss for the customer. Tarot By Emilie is not responsible for repayment or compensation of that financial loss and customer assumes all responsibility. Tarot By Emilie will keep the Product compatible and operational with most recent official versions of the Internet browsers Google Chrome, Microsoft Edge and Firefox for Windows and Safari for Mac – and will make reasonable efforts to keep the Product compatible and operational with most other at any time most recent versions of other Internet browsers but does not guarantee that the Product will work identically and reliably with all Internet browsers or devices. The Subscription is accessible to the Customer at https://www.TarotByEmilie.Com , https://www.TarotReaderPsychic.Com , https://www.EmilieMoe.Com by the Company in its sole discretion. All prices are based on currency rates of exchange in effect at the time of printing. All prices are subject to change without prior notice due to currency fluctuation and/or unforeseen economic circumstances. Customers locked into a coaching package will not be forced to pay the new rates until their coaching term has been completed. Customers who are not locked into a term agreement will be noticed at least 30 days in advance of the changing rates and will have the explicit opportunity to cancel their membership, no questions asked. Customers who are locked into a term agreement will be able to carry out their term at the original agreed upon pricing, and will be noticed at least 30 days in advance of the changing rates and will have the explicit opportunity to cancel their membership, no questions asked. 4.1 Financial transactions relating to our website and services are OR may be handled by our payment services providers, Authorize.Net. We will share transaction data with our payment services providers only to the extent necessary for the purposes of processing your payments, refunding such payments and dealing with complaints and queries relating to such payments and refunds. 5.1 Customers may terminate their access to our services, products, and subscriptions at any time, with the full understanding that refunds will not be give. 5.2 For example, if a customer pays for a service and signs the terms agreeing to the no cancellations, no refund policy, yet still desires to terminate access to those services, they will not be financially compensated for unclaimed sessions. 5.3 If a customer pays for a product, and signs the terms agreeing to the no cancellations, no refund policy, yet still desires to terminate access to those products on https://www.TarotByEmilie.Com , https://www.TarotPsychicReader.Com , https://www.EmilieMoe.Com they will not be financially compensated for inability to access the product. 5.4 If a customer pays for a subscription, and signs the terms agreeing to the no cancellations, no refund policy, yet still desires to terminate access to https://www.TarotByEmilie.Com , https://www.TarotPsychicReader.Com , https://www.EmilieMoe.Com, they will not be financially compensated for inability to access the sites, no matter when in the month they cancelled. Customer agrees to the understanding that termination will immediately deny access to their respective services, products, and subscriptions. 6.2 Users are expected to use the site only for those purposes. Tarot By Emilie websites, pages, and private forums are not intended to create a limited public forum or otherwise guarantee an individual’s right to free speech. 6.3 Any views and comments expressed by users on this site are those of the users and do not necessarily reflect the views of Tarot By Emilie. 6.4 Any user’s reference to a specific commercial product or service does not imply endorsement or recommendation of that product or service by Tarot By Emilie. 6.5 All site users are personally responsible for the content of their conversations and actions, and Tarot By Emilie is not responsible for the content of external online platforms. 6.6 Users are expected to communicate in a respectful, courteous, and professional manner. This site is regularly monitored and any inappropriate conduct will be promptly removed. 6.7 Improper posts, including those that are obscene, libelous, or so incites people as to create a clear and present danger of the commission of unlawful acts, violation of Tarot By Emilie rules, or substantial disruption of the Tarot By Emilie’s orderly operation. This may also pertain to posts that are not related to the stated purpose of the site, including, but not limited to, comments of a commercial nature, political activity, and comments that constitute discrimination or harassment. Please contact Info@TarotByEmilie.com regarding violation of these guidelines on the use of official Tarot By Emilie social platforms. 7.1 All coaching package sales are final. In the event that you decide that completing the coaching sessions with me is not in your highest good, I reserve the right to offer the value back to you in other non-cash value or to keep an open line of credit with your remaining balance for future programs and courses. 8.1 All sales are final. Refunds will not be honored. Chargebacks and other malicious attempts to circumvent terms will be dealt with on a legal scale. Police reports will be filed where appropriate. 9.2 In the event that you need to reschedule, a 24 hour notice is required unless there has been a family emergency or some other pressing life-threatening event. 9.3 Asking to reschedule on the day of the appointment without a valid reason or “no show” means you forfeit your appointment and no reschedule opportunity will be made available. 10.1 Emilie Muniz makes no written guarantee of financial success or outcomes. 11.1 All content included as part of https://www.TarotByEmilie.Com , https://www.TarotPsychicReader.Com , https://www.EmilieMoe.Com (“Site”), such as text, graphics, logos, images, as well as the compilation thereof, and any software used on the Site, is the property of Tarot By Emilie or its suppliers and protected by copyright and other laws that protect intellectual property and proprietary rights. 11.2 You agree to observe and abide by all copyright and other proprietary notices, legends or other restrictions contained in any such content and will not make any changes thereto. 12.1 While we make every effort to ensure that we accurately represent all the products and services reviewed on this website and their potential for income, it should be noted that earnings and income statements made by Tarot By Emilie and its advertisers / sponsors are estimates only of what we think you can possibly earn. There is no guarantee that you will make these levels of income and you accept the risk that the earnings and income statements differ by individual. 12.2 As with any business, your results may vary, and will be based on your individual capacity, business experience, expertise, and level of desire. There are no guarantees concerning the level of success you may experience. The testimonials and examples used are exceptional results, which do not apply to the average purchaser, and are not intended to represent or guarantee that anyone will achieve the same or similar results. Each individual’s success depends on his or her background, dedication, desire and motivation. 12.3 There is no assurance that examples of past earnings can be duplicated in the future. We cannot guarantee your future results and/or success. There are some unknown risks in business and on the internet that we cannot foresee which could reduce results you experience. We are not responsible for your actions. 12.4 The use of our information, products and services should be based on your own due diligence and you agree that Tarot By Emilie and the advertisers / sponsors of this website are not liable for any success or failure of your business that is directly or indirectly related to the purchase and use of our information, products and services reviewed or advertised on this website. 14.1 Emilie Muniz shall not be liable to the customer for any special, consequential, incidental, punitive, or indirect damages arising from or relating to any breach of this agreement, regardless of any notice of the possibility of such damages. Notwithstanding the foregoing, nothing in this paragraph is intended to limit or restrict the indemnification rights or obligations of any party under data protection laws. 15.1 You agree to indemnify, defend and hold harmless Emilie Muniz its officers, directors, employees, agents and third parties, for any losses, costs, liabilities and expenses (including reasonable attorneys’ fees) relating to or arising out of your use of or inability to use the services, any user postings made by you, your violation of any terms of this Agreement or your violation of any rights of a third party, or your violation of any applicable laws, rules or regulations. 15.2 Emilie Muniz reserves the right, at its own cost, to assume the exclusive defense and control of any matter otherwise subject to indemnification by you, in which event you will fully cooperate with Emilie Muniz in asserting any available defenses. 16.3 CONFIDENTIAL INFORMATION: The term “Confidential Information” means any information or material which is proprietary to Tarot By Emilie, whether or not owned or developed by Tarot By Emilie, which is not generally known other than by Tarot By Emilie and which Tarot By Emilie may obtain through direct or indirect contact. 16.4 The customer agrees to not share, copy, or modify any such products or subscriptions without prior written consent from Tarot By Emilie. 17.1 Tarot By Emilie acknowledges and agrees that access to it’s services, products, and subscriptions are on an AS IS basis. Tarot By Emilie makes no warranties express or implied with respect to the confidential information and hereby expressly disclaims any and all implied warranties of merchantability and fitness for any particular purpose. 17.2 In no event shall Tarot By Emilie be liable for any direct, indirect, special, or consequential damages in connection with or arising out of the performance or use of any portion of our services, products, and subscriptions. 18.1 The Customer’s subscription agreement, including these Terms, is governed by United States Of America law, however, excluding (i) any rules concerning choice of law and (ii) the UN Convention on Contracts for the International Sale of Goods (“CISG”), which do not apply. 18.2 Any dispute between the Company and the Customer arising out of services, products, and subscriptions and the Terms will be subject to the jurisdiction of the ordinary courts of United States Of America at the Company’s then-current venue. You will be remitting payment as a “Service”, not “Goods.” You’re not paying me for a product. You’re paying me for my knowledge, experience, insights, foresights, and my time. You’re paying me to set aside everything else in my life, clear my schedule and head space to dedicate entirely to you for the duration of your reading. When you order a reading phone or an email reading, you are receiving from me a customized, personalized service, not any ordinary product. Moe will not read for anyone who she knows to be under the age of 18. She feels a connection with the client has not been achieved. If the client is abusive, confrontational, or aggressive in any way. positive manner and that continuing the reading might harm the client. practical actions to end any such behavior directed at her or her business. free will in making future decisions. Tarot By Emilie does NOT consent to any audio or video recordings of her being made. only disclose personal information without consent if legally required to do so. that may arise from the use of Tarot By Emilie’s services and website. from time to time, but that does not constitute advice. Tarot By Emilie will not diagnose illnesses or medical/psychological conditions, including questions pertaining to pregnancy and death. for entertainment purposes and should not be relied upon as fact or professional advice. without the expressed permission of Tarot By Emilie. 1 – If you miss your allocated time slot, Tarot By Emilie reserves the right to refuse a refund. an alternative time slot for the reading or a full refund. 4 – Phone or Skype Psychic Readings, once paid for, CAN be refunded 24 hours PRIOR TO reading. unless she is legally obligated to do so. From time to time, Tarot By Emilie may change or add on to her policies, terms, and conditions. Tarot By Emilie collects, uses, and discloses information. 1.4 Our website incorporates privacy controls which affect how we will process your personal data. By using the privacy controls, you can specify whether you would like to receive direct marketing communications and limit the publication of your information. You can access the privacy controls via www.TarotByEmilie.com, www.TarotReaderPsychic.com, www.EmilieMoe.com. 1.5 In this policy, “we“;, “us“; and “our”; refer to Tarot By Emilie For more information about us, see Section 13. 4.1 We may disclose your personal data to any member of our group of companies this means our subsidiaries, our ultimate holding company and all its subsidiaries insofar as reasonably necessary for the purposes, and on the legal bases, set out in this policy. Information about our group of companies can be found at http://www.tarotbyemilie.com/terms-and-conditions/. 6.5 Notwithstanding the other provisions of this Section 6, we may retain your personal data where such retention is necessary for compliance with a legal obligation to which we are subject, or in order to protect your vital interests or the vital interests of another natural person. In the event law enforcement requests your personal data, you will be notified immediately. Tarot By Emilie will corporate with law enforcement whenever possible. 8.1 In this Section 8, we have summarised the rights that you have under data protection law. Some of the rights are complex, and not all of the details have been included in our summaries. Accordingly, you should read the relevant laws and guidance from the regulatory authorities for a full explanation of these rights. You are entitled to seek out a professional, licensed lawyer for assistance with this. Tarot By Emilie is not responsible for your compensation of seeking such services. The first copy will be provided free of charge, but additional copies may be subject to a reasonable office fee of $20. You can access your personal data by visiting www.TarotByEmilie.com, www.TarotReaderPsychic.com, www.EmilieMoe.com when logged into our website. 8.13 You may exercise any of your rights in relation to your personal data by emailing us at Info@TarotByEmilie.com, in addition to the other methods specified in this Section 8.